Many beginners trying to get started in woodworking take one look at their budget and worry about how they can afford to buy a whole shop full of power tools to get started. Fortunately, one doesn't have to spend a fortune to get started. 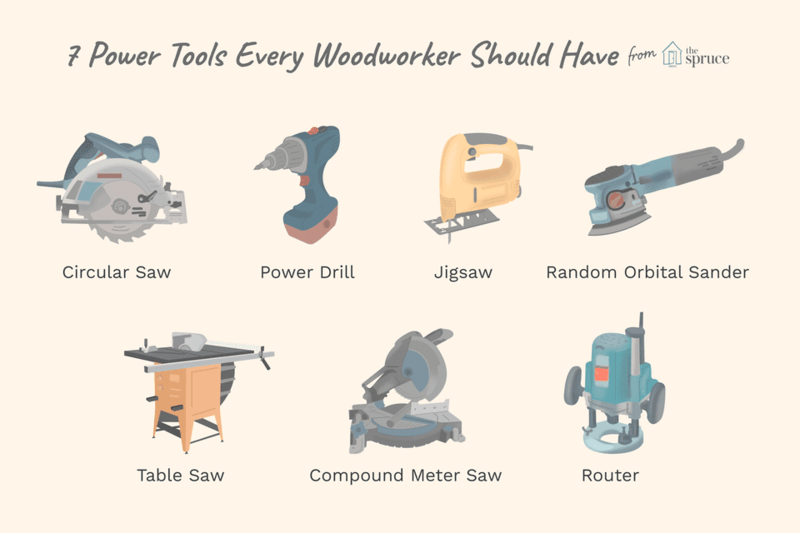 There are really only seven woodworking tools that I would recommend any beginning woodworker have on hand from the start, and most are relatively inexpensive. However, with these seven tools, a beginner can tackle quite a number of projects. The third tool for the beginner is the Jigsaw. A jigsaw allows the user to cut curved and circular patterns in stock. Sure, a band saw will likely be more accurate and can cut thicker stock, but for the beginner, the jigsaw (sometimes also referred to as a Sabre Saw) can be perfectly effective. For versatility, choose an orbital-action, corded jigsaw that feels good in your hand and has an easy blade changing system. The fourth most important basic handheld power tool every beginner should buy is a random orbital sander. While palm sanders are less expensive and can use plain sandpaper (cut into one-fourth sections), the random orbital version uses hook-and-loop fastened sanding disks, and doesn't sand in patterns, using a random sanding motion instead. This motion will serve to reduce the chance that any sanding marks may appear on the stock due to the sanding. Of course, be certain that your local woodworking supplier has sanding disks readily available in a number of grits to fit the model that you choose, as the key to proper sanding is to use progressively finer grits as you sand to reduce or remove any marks that are left behind from the previous sanding. After you have chosen the perfect table saw for your woodshop, the next major purchase one should consider would be a compound miter saw. While not as expensive as a quality table saw, a compound miter saw is invaluable for cutting compound angles (beveled, mitered and combination cuts) on the ends of a piece of stock. 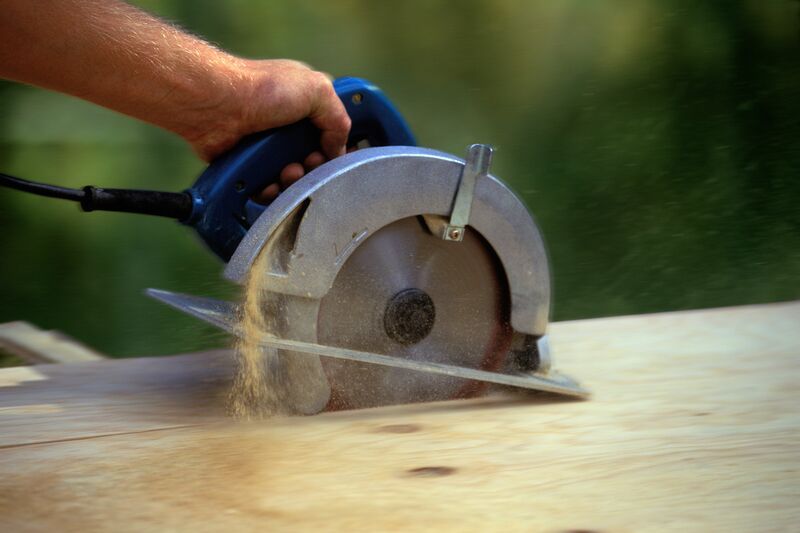 Once you develop your ability to make precise cuts with a compound miter saw, you'll find that your circular saw spends a little more time in the drawer than it used to.